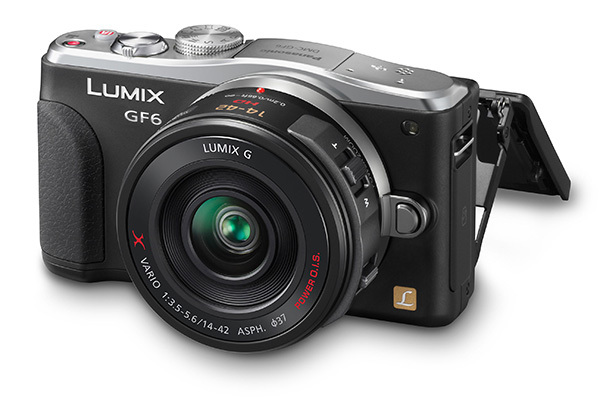 At £329, the 16Mp Panasonic GF6 is the company’s cheapest compact system camera, but boasts a very competitive set of features, including a high-quality Four Thirds Live MOS sensor, a physical mode dial, and a 3in 1040k-dot tilt-out touchscreen that can be flipped 180° for taking selfies. The camera also has Wi-Fi connectivity built-in, so users can shoot remotely using a tablet or smartphone, and NFC functionality that allows for fast and easy pairing. With an ISO range of 160-12,800, the GF6 performs very well in low light conditions, helped by the kit lens’s image stabilisation, which reduces unwanted camera shake. The focal length of 14-42mm is the full-frame equivalent of 28-84mm, which is ideal for landscapes and portraits, and the maximum shooting speed of 7fps (JPEG only) is useful for fast-action subjects. With a good-sized fingergrip on the front, a rubberised thumbgrip on the back and a body that’s slightly bigger than some other CSCs, the GF6 feels comfortable to hold. It has a small thumb dial on the back and a finger toggle on the top for changing settings, a mode dial and pop-up flash on the top-plate, and direct access controls for exposure compensation, white balance, drive mode, Wi-Fi, and focus mode. The menu is fairly easy to navigate, though the quick menu takes some getting used to. The GF6 has contrast detect AF and only 23 focusing areas, which is fewer than many rivals. However, it does focus relatively quickly, even in low light conditions. Overall, this is a great little camera for the money.